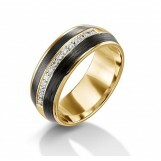 Gents 18K Yellow Gold Diamond Wedding Band with 14 Round Brilliant Diamonds totaling 0.07 Carats, F-G in Color, VS in Clarity. 7.00mm Wide. 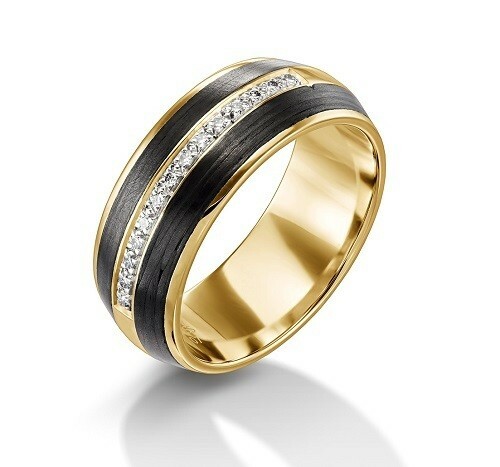 Gents 18K Yellow Gold and Carbon Diamond Wedding Band with 14 Round Brilliant Diamonds totaling 0.07 Carats, F-G in Color, VS in Clarity. 7.00mm Wide.